The Japanese American National Museum (JANM) has added 240 oil paintings and more than 200 watercolors by artist Henry Sugimoto to its permanent collection, thanks to a donation by the artist’s daughter Madeleine. The donation also included diaries, woodblocks and woodblock prints, artist tools, and dress designs. These items join numerous other Sugimoto paintings and artifacts that had previously been gifted or loaned to the museum. JANM’s collection now encompasses over 700 works of art by Sugimoto, spanning his entire career. This is the largest collection of paintings in the JANM collection. The first gift of Sugimoto’s work was made to JANM by Madeleine Sugimoto and Naomi Tagawa in 1992. It consisted primarily of 142 oil paintings. In 2000, Madeleine Sugimoto loaned the museum additional paintings, sketchbooks, woodblock prints, letters, and other items. That loan has now been converted to a donation. In 2001, JANM presented “Henry Sugimoto: Painting an American Experience.” It was the first museum retrospective of the artist’s work and featured over 100 paintings along with photographs, sketchbooks, and other archival materials related to Sugimoto’s life and career. 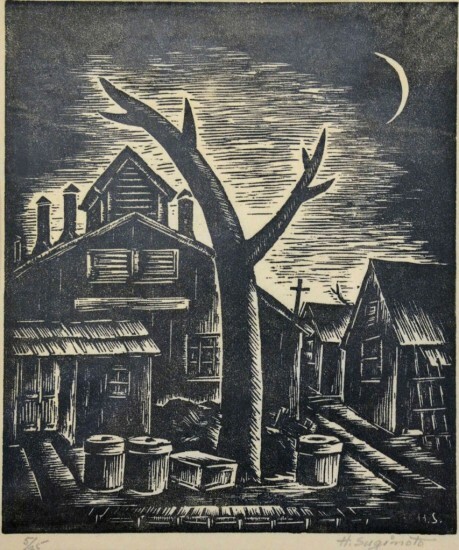 But once he was incarcerated in the wake of the bombing of Pearl Harbor, both his style and subject matter were forever altered. 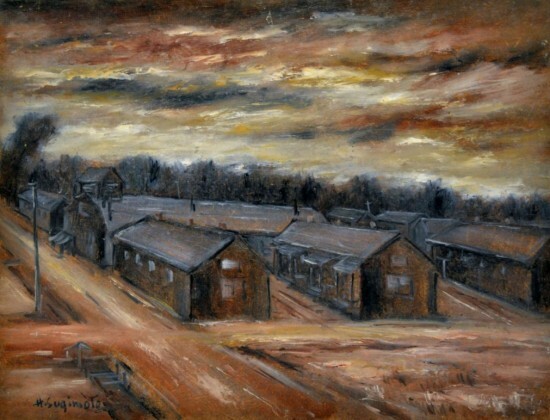 During and following the war, Sugimoto depicted the indignities he and his fellow inmates suffered in a narrative and figurative style that was unique to the artist. Sugimoto died in 1990 at the age of 90. The recently acquired items are still in the process of being inventoried. Once that process is completed, qualified scholars will be able to request access to selected items by appointment. JANM is located at 100 N. Central Ave. in Little Tokyo. For information on current exhibitions, visit www.janm.org or call (213) 625-0414.